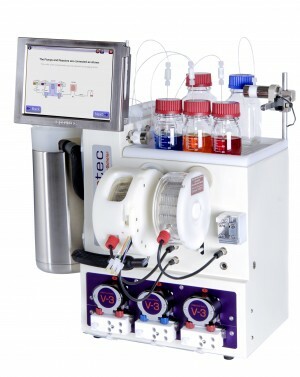 Described is a continuous, divergent synthesis system which is coupled to continuous purification and is capable of producing four anti-malarial APIs. The system is comprised of three linked reaction modules for photooxidation/cyclization, reduction, and derivatization. 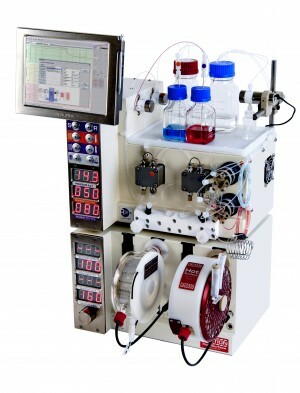 A fourth module couples the crude reaction stream with continuous purification to yield pure API.